This pistol from Bruni is a revolver with a working cylinder and hammer which makes it an ideal starting pistol, or for training and reenactment purposes. Thanks to its loud sound, this pistol also works as an extremely effective bird scarer. The frame is made from metal with real wooden grips for a comfortable hold and longevity in use. 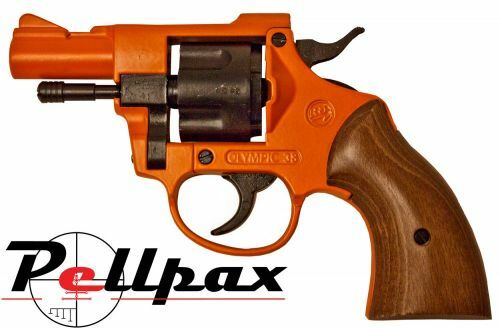 These blank firers can hold 8 blank cartridges in the cylinder with a single or double action trigger.